Fred Napolitano grew up in New York City listening to the opera singer Enrico Caruso. He then moved to South Florida to study saxophone and graduated with music education degrees from Miami-Dade College and Florida Memorial University. 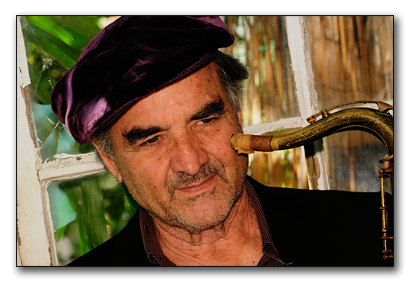 He musically morphed from Caruso to Elvis Presley to John Coltrane, and then to James Brown. Identifying himself as part of the hippie revolution in the 1970’s, he played various rock bands in South Florida. Since then, Fred has played in numerous jazz and rock bands. He began playing with Sarah Jacob in 2011.